Belmont’s College of Law recently held the Barristers’ Ball on Saturday, April 9. Students, alumni, faculty and members from the legal community gathered together to support the Legal Aid Society of Middle Tennessee and the Cumberlands. 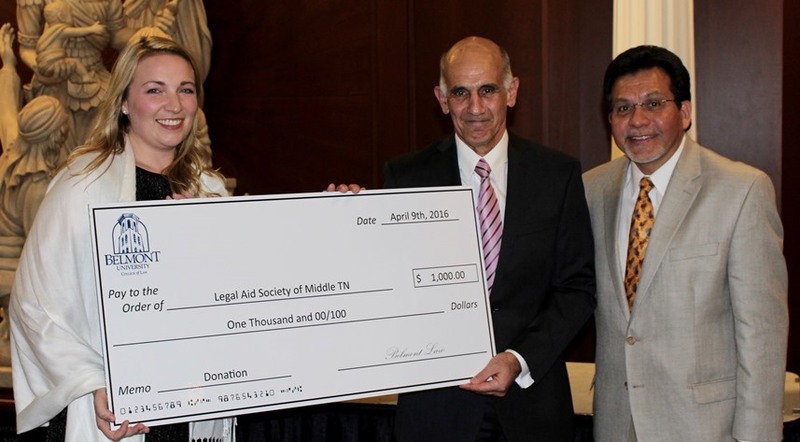 Over 180 tickets were sold for the event which included live music and a presentation of a $1,000 donation to the Legal Aid Society of Middle Tennessee and the Cumberlands in support of their continued mission of service and justice for all.